Construction tools on wooden background. Copy space for text. 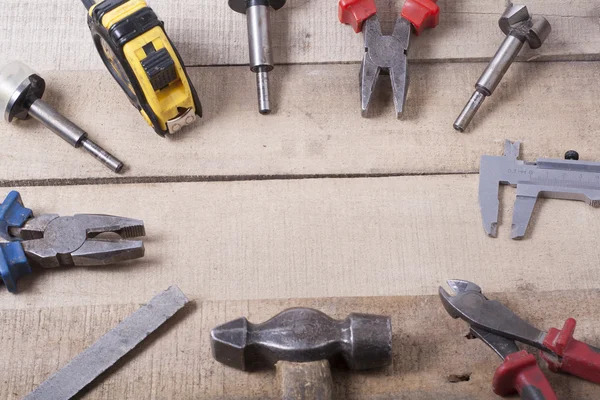 Set of assorted work tools at wood table . Top view.